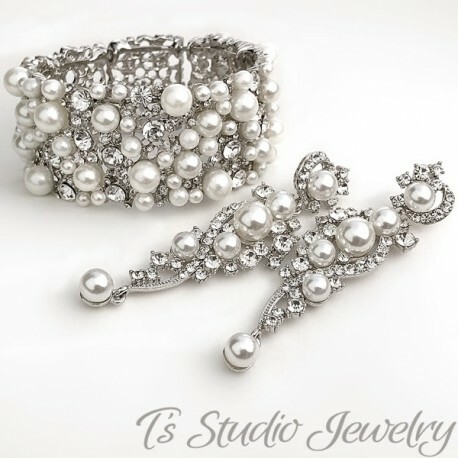 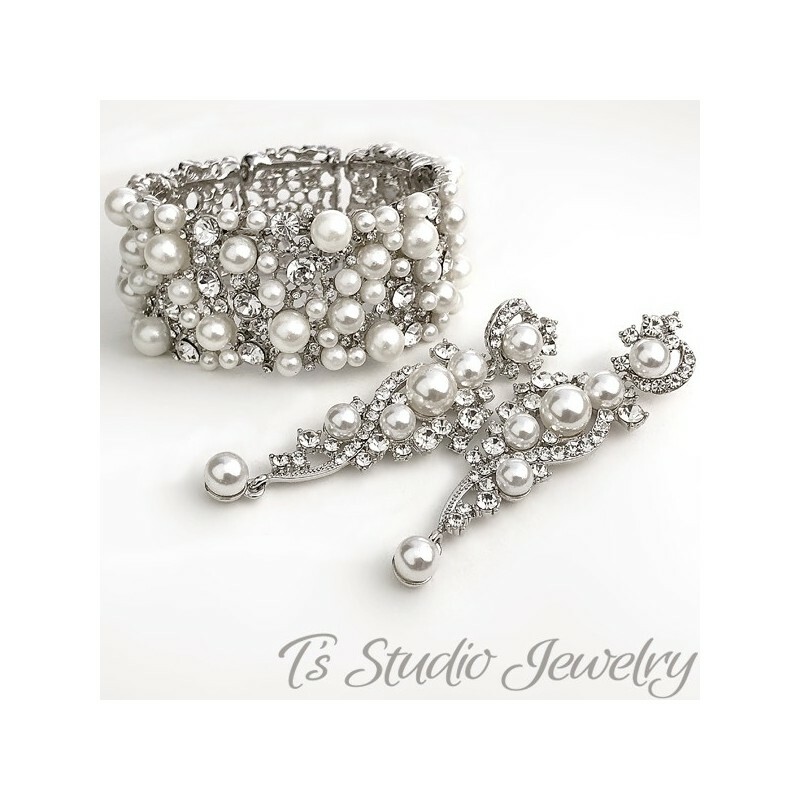 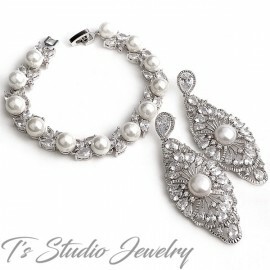 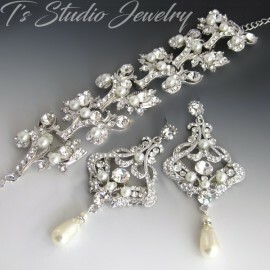 What a statement this beautiful bracelet and earrings set makes! 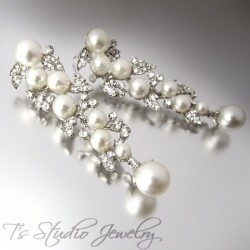 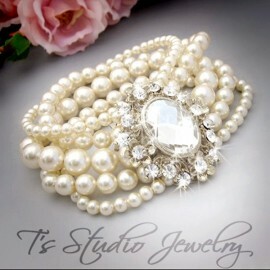 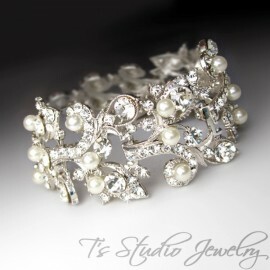 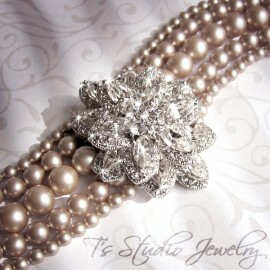 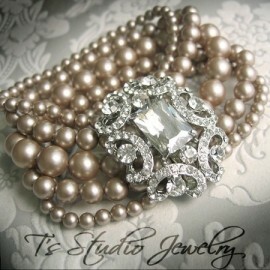 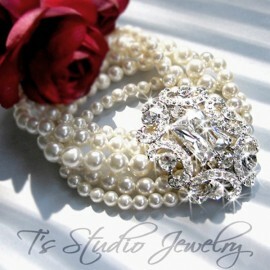 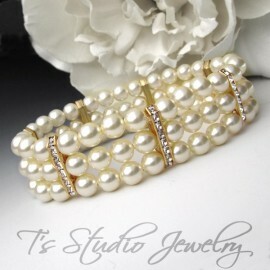 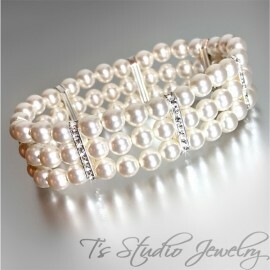 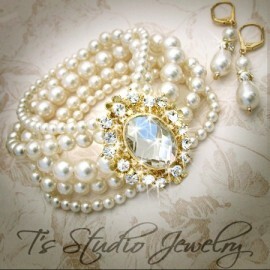 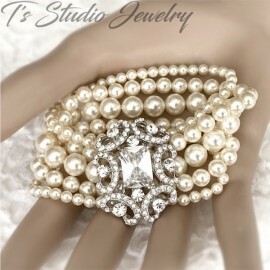 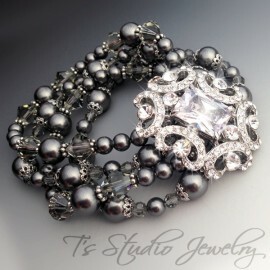 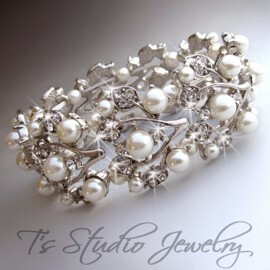 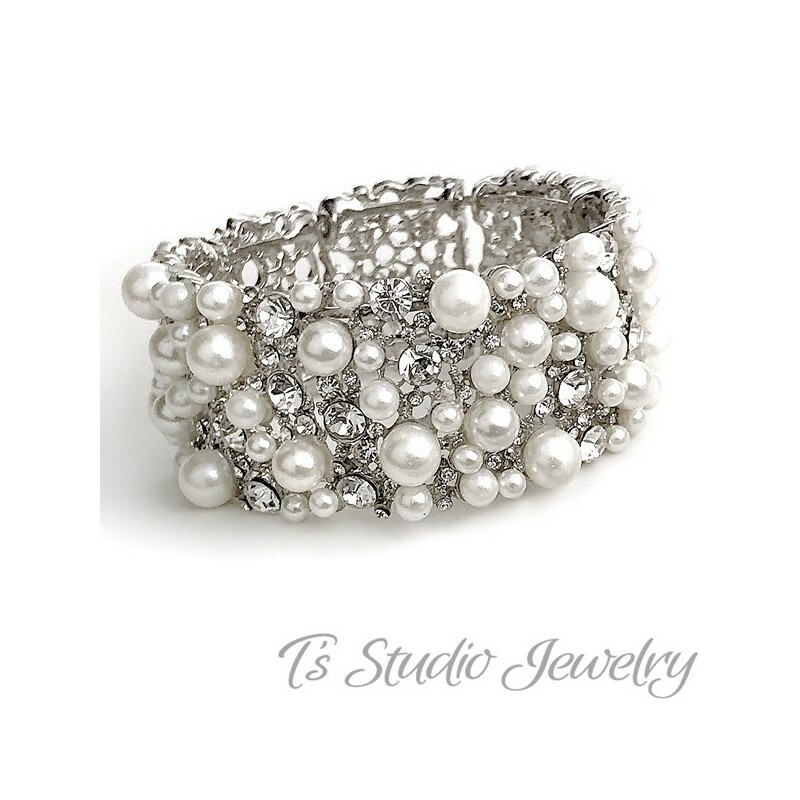 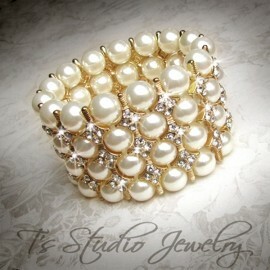 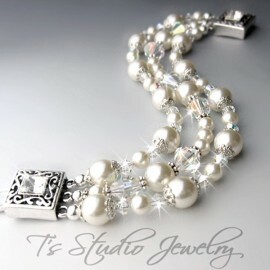 The bracelet is a stunning pearl bangle cuff made with tons of sparkling clear crystals and round pearls. 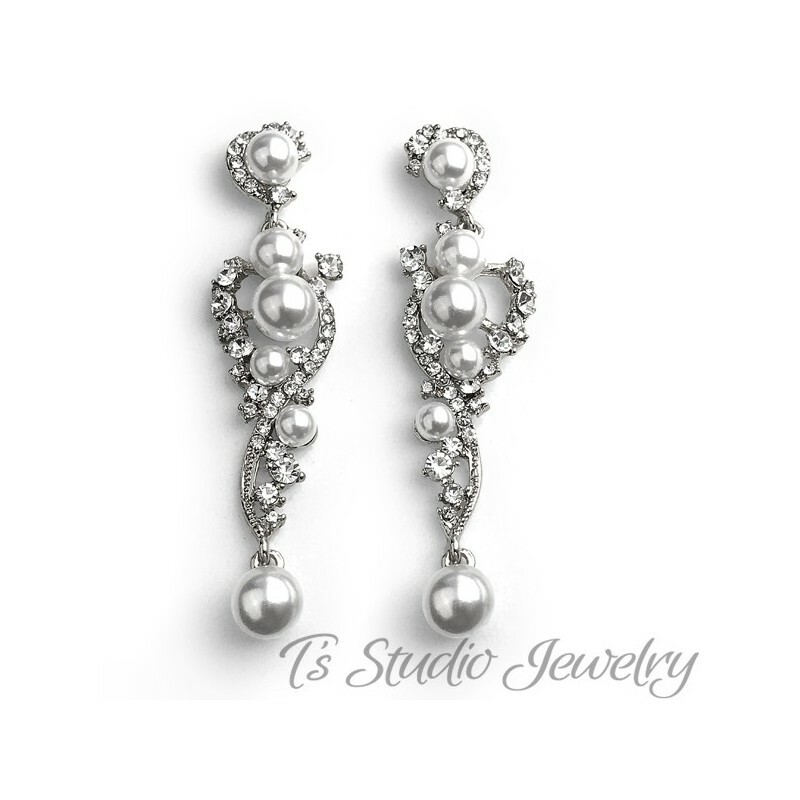 The matching earrings are made with a combination of round pearls and clear crystals on a silver base. 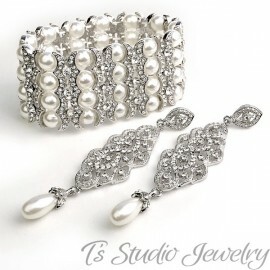 Bracelet and earrings also sold separately.